Professional translation services for websites, brochures, documents and software. Grow your business internationally with STAR Translation. We work with companies across the globe translating their content to help them increase international sales. Join some of the world’s largest companies who trust STAR every day. With more than 50 offices in over 30 countries, we can translate your content and help you reach new customers to ignite your global sales. Translate your brochures, advertising and website to reach more international customers. We translate manuals, technical datasheets and documents to help customers get the most from your products. Working with different content management systems, software development and localization teams, we can bring your system to life across the globe. We can help you deliver your technical documents and layout in any language. We work with the world’s leading systems including Adobe Creative Cloud, QuarkXpress, FrameMaker and many more. We make you look brilliant in any language. Communication is easy with STAR. We’re fast and reliable, technically skilled, with the relevant sector expertise you require. 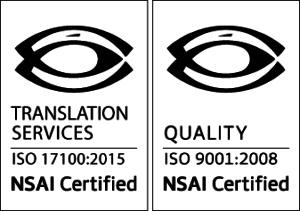 We deliver consistent translation quality and competitive pricing. We use native translators for the highest quality translation possible. You get a dedicated project manager; who is customer focused, honest and available when you need them. So you’ll always be on track. We work for clients across digital marketing, ad tech, technical engineering and machinery and software publishing. STAR’s customers include Aston Martin, BMW, CRH, Hilti, APC, Schneider Electric, Cummins, FG Wilson, IDA Ireland, International Dairy Queen, Kingspan, Tomra, TRW and many more. We specialize in technical translation and help our customers deliver brilliant technical publications around the globe. We help digital marketers communicate their message to a global audience. We are certified to ISO 9001 and ISO 17100:2015 quality standards. With over 30 years of experience in the translation industry, we will help you grow worldwide. We help digital marketeers communicate their message to a global audience. 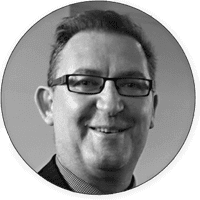 Damian Scattergood, Managing Director: Responsible for all sales and business development activities at STAR Dublin. With over 30 years of experience in the translation and localization business, Damian has held a range of positions. Prior to STAR he was Director of Operations with WorldPort Communications one of the largest global data centres in Ireland. Prior to that, for 12 years, he was with Symantec as Technology and localization Manager. He was responsible for shipping Symantec products in over 20 languages around the world. Paul Quigley, Director: Responsible for all day to day translation operations in STAR Dublin. Paul has over 30 years of experience in the translation and localization business. 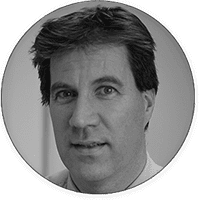 Prior to STAR, Paul was Director of Translation Tools with Oracle Corporation, Dublin. Paul delivered Oracle localised products in over 26 languages.